How long have you had your wood fence? How long have you had your wood fence? As winter turns to spring, you might notice that the weather outside is getting wetter. Usually, you would think that damp weather only comes from it raining all the time. But snow, ice, and sleet can wreck your fences, too. Rot is a huge problem, so here is how you can stop it. The first step in helping your wooden fences last longer is to choose the right wood. 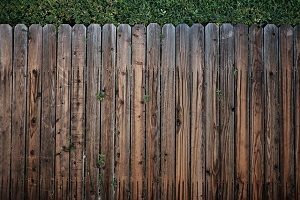 Cedar, cypress, oak, and redwood, are all examples of hardwoods that make excellent fence materials. If you choose softer wood, you might save some money. The problem is that decay sets in much faster and you may have to end up paying more for repairs or replacements. Pressure treatment also helps wood survive the elements longer. The chemicals used in this process make it so that insects and rot can’t attack the wood as quickly. You can also use pressure treatment on the wooden fence posts that help hold your residential fences up. That way, you can ensure that the support posts can withstand the effects of soil and wind erosion and insect attacks. The installation process matters, too. Although it’s possible to build a fence and install it with the help of a friend, family member, or neighbor, sometimes it’s best to trust the professionals. By doing this, you can make sure that the fences last longer. Sometimes, no matter what you do, your wooden fence will just rot away. In this case, you will have little choice but to replace your fence. However, before you resort to a full-scale replacement, you can remove the boards that have already begun to rot. Once you get rid of the rotted boards, you can replace them with fresh boards and panels that can help boost the curb appeal of your home. This entry was posted on Friday, February 8th, 2019 at 5:25 pm. Both comments and pings are currently closed.